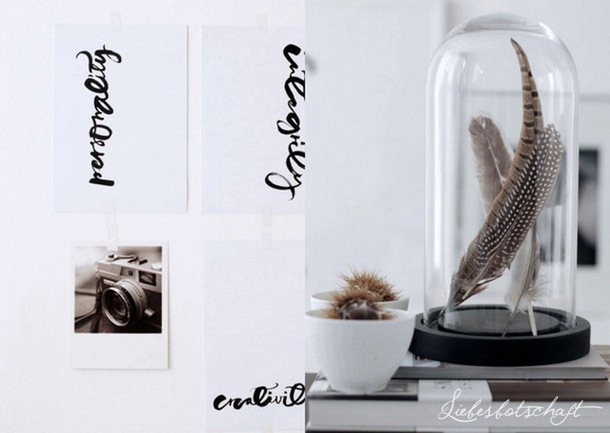 Let’s spend some time today on interior decoration – and how you can playfully use it to create lovely surroundings. So get comfortable and enjoy the presentation – yes, even you there, in the back. By the way, my daughter Jil is not part of the decoration (while being well able to throw you a decorative look, without doubt! ), but I see her so rarely that I simply have to take pictures, once she is actually here ;). 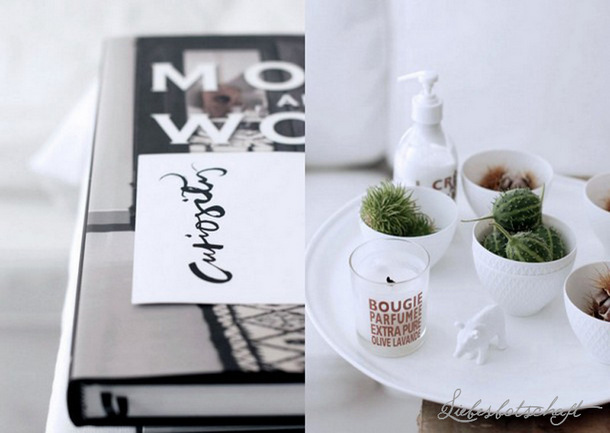 These 5 simple elements will help you to imbue your living quarters with an individual and beautiful atmosphere. Fact is that hardly anyone wants to live in a place that looks like a furniture store – not even if it was a Swedish one ;). To avoid this from happening I will show you 5 rules today how to achieve a pretty result without great effort or means. 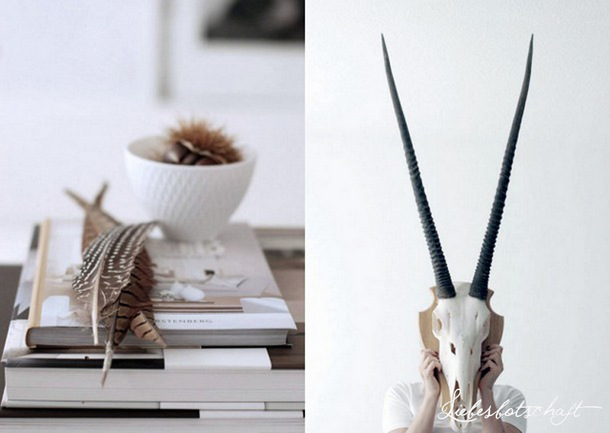 My own absolute favorite: modern elements mixed with a few eye catchers from the flea market. Because flea market finds (or antique store finds/inherited pieces) tell much more about a person than those bought in a furniture exhibition – as one will often simply adopt the stylists’ suggestions. But to find a piece in the midst of a scrapheap, which will perfectly fit into different surroundings and even creates a WOW effect – that’s an art in itself! Something old among current things provides exactly the right tension, so the onlooker does not get bored. 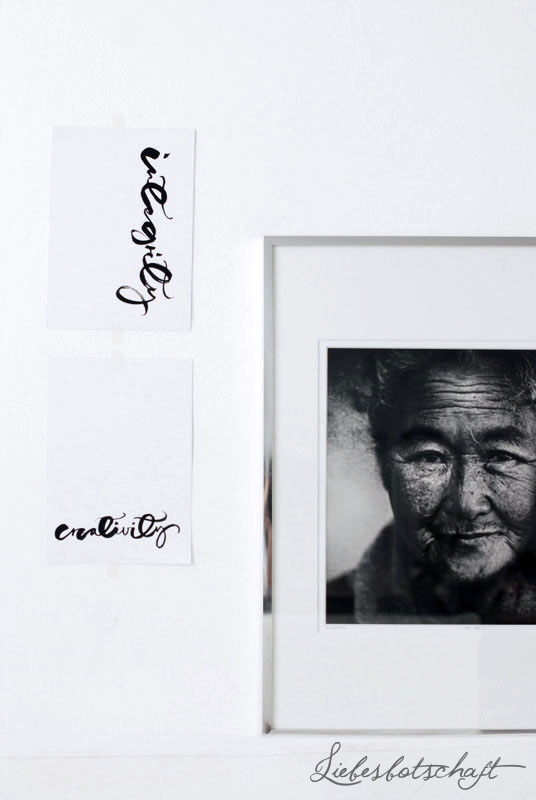 It can be an old black and white photograph among modern prints. 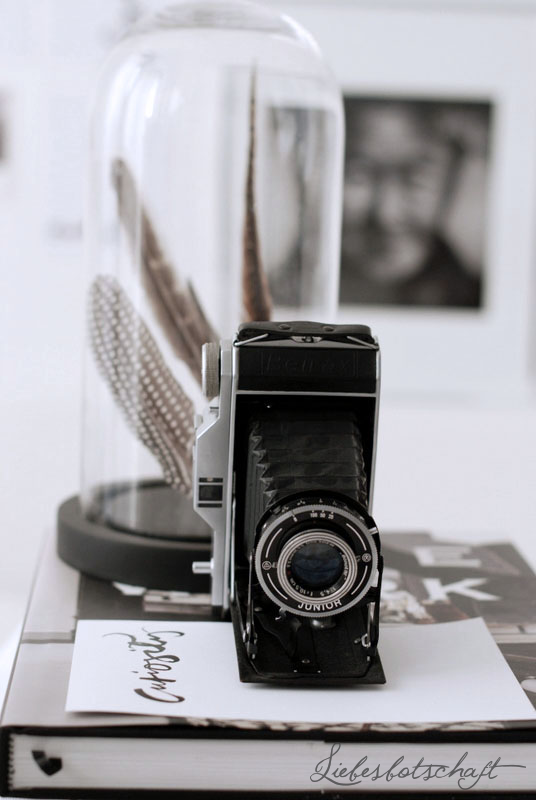 Or an antique camera perched on top of a pile of books about contemporary living. Or an old wooden stool in front of a modern sofa. 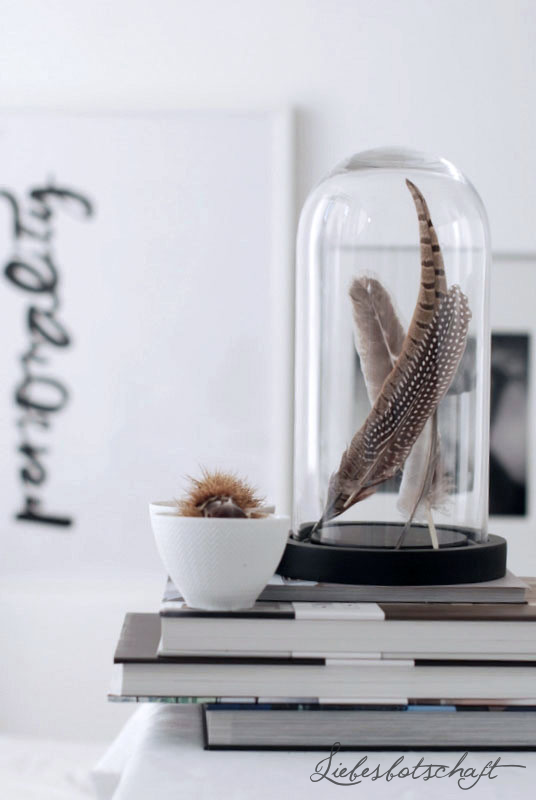 special items that would otherwise seem a little “lost” can find their perfect place in the spotlight with the help of a bell jar. 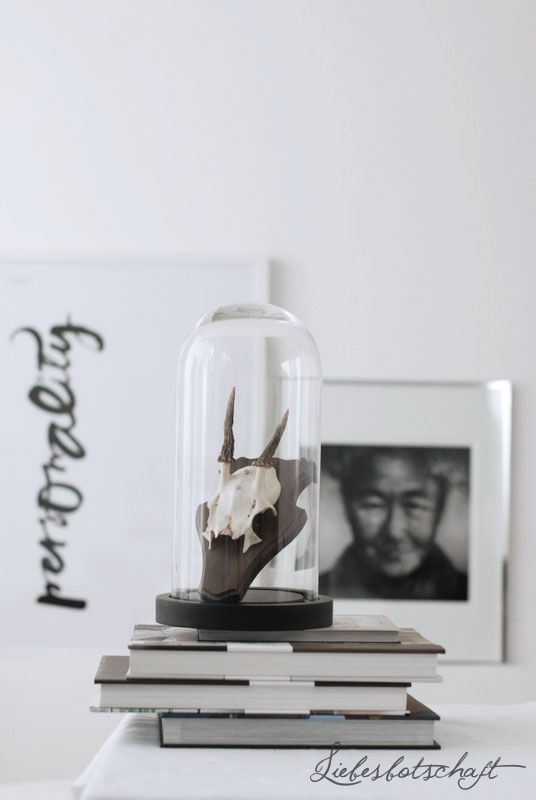 A bell jar automatically calls out: “look here, I am particularly precious!” and lifts the piece to the status of a sculpture – even if they are just some small antlers from the flea market. Often it is not only the age of things that is a decisive factor – but more so their effect. For example: one cannot really differentiate the shape of a vase from the 60s from the many modern elements of decoration – even if it is a vintage piece- since several labels look to classic designs of the past again. Not a problem in itself – one only has to make sure that one does not end up with a “matchy-matchy” look again. 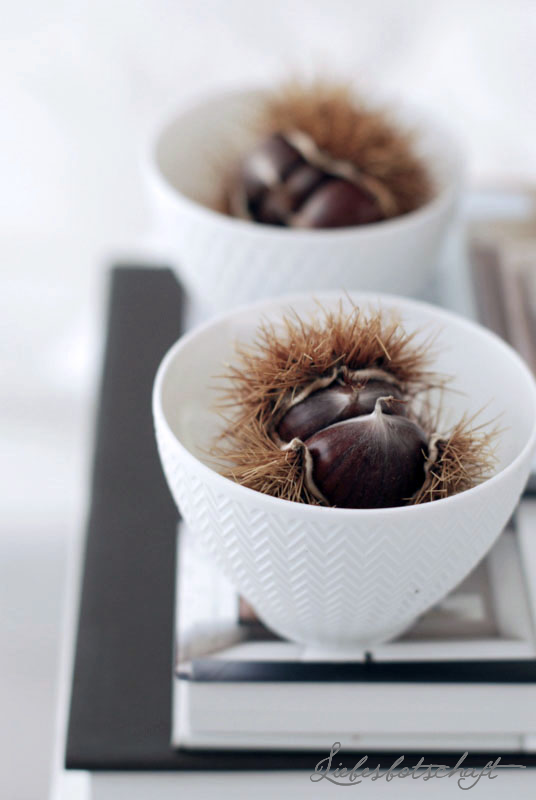 So go on, try placing something rustic in a modern setting! A coarsely woven Swiss army blanket on a modern couch with straight lines. A group of wooden candle holders on top of a simple, new dresser. A wicker basket (basketwork always has a rustic and somewhat cozy effect) with magazines in front of a modern fireplace. Mixing textures is one of the most important styling moves. rough wooden table with chairs made of synthetic material (smooth). a chunky wooden bowl filled with many apples, that roll around in it, all smooth and shiny. 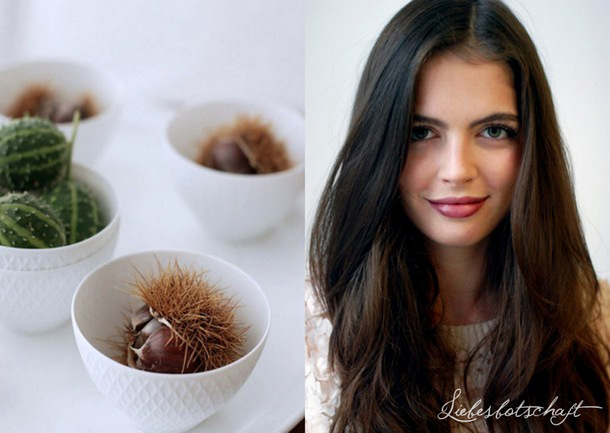 Some delicate feathers and chestnuts, encased in prickly husks, in sleek china dishes. the mix achieves a beautiful, individual and exciting effect! most people do not like cluttered rooms. Especially women sometimes feel the urge to place another little flower/scented candle/decorative item everywhere, or to hang up yet another picture. the most beautiful pieces do not make an impact, if they are not seen – so: don’t fear the gap! Yes to the white wall! Place items in groups (like the white china dishes on a tray – together with the scented candles), and leave enough space between the groups. However, not in order to fill it yet again with clutter (“oh, look, there’s space, I could place this little votive…”) – but simply EMPTY space. "I don’t like clutter” – rooms like that always convey the idea that the owner has just moved in and hasn’t finished unpacking ;). It seems cold and uncomfortable – only details create an atmosphere. Some people have an inherent knack for it and everything always looks perfect, others generally have a little more difficulty in magically creating a still life from things. Sometimes it works wonderfully, sometimes nothing matches, independent of how often you shift items back and forth. For this reason: don’t give a damn! It is supposed to be about playing and testing, about rummaging through flea markets, about getting inspired and enjoying and not so much about achieving anything – or even impressing anybody. So never expect anything of yourself or even put yourself under pressure, don’t take the subject too seriously, but let your creativity flow, very playfully and without worries. What’s the point of the most beautiful surroundings, if the person living in it is discontent, stressed or frustrated? Congratulations, my lovelies, please get in touch via email. p.s. Did you see my big, new antlers ;)?